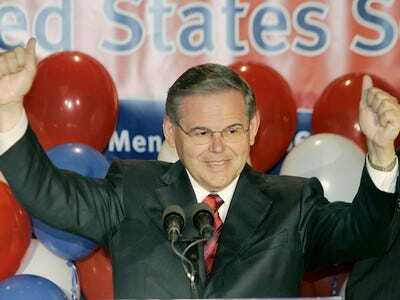 has an interesting story about Senator Menendez from New Jersey. He’s trying to force Bank of America, Goldman Sachs, Morgan Stanley, Berkshire Hathaway, and any company that is on the Fortune 500 list to take his survey. The survey asks companies how many minorities, women and disabled people serve as top executives or members of the firms’ corporate boards. Menendez says if banks don’t take his diversity survey, he’ll tell everyone they’re not committed to diversity. This is the deal Menendez presented this deal to Fortune 500 companies in a letter on March 8th: the companies comply with the survey and their names and answers will be kept confidential. If they don’t: “We’re just going to simply say these companies didn’t think enough of trying to help the Latino community come to an understanding of where the aggregate numbers are in terms of Latino representation” in the corporate world, Menendez told Politico.